The Center for Creative Leadership(CTL) recently published an article on Reversed Mentoring. They define mentoring as “an experienced leader meeting with someone more junior to help him or her benefit from the greater experience.” In reversed mentoring, we look to senior leaders to begin and sustain a learning relationship where the junior person mentors the senior person. Many senior leaders look to junior mentors for learning technology and data skills. Junior mentors can at the same time learn from their senior colleagues. Reversed Mentoring can push everyone out of their comfort zone and into the learning zone. Yet, this learning zone is exactly where we need to go in our multigenerational workforces. We now have 4-5 generations working side by side in the workplace. We can leverage the strengths of everyone by offering multiple mentoring models. Reverse mentoring allows both mentor and mentee to learn. The mentors learn from the mentees. The mentees learn from the mentors. CTL encourages norm setting when launching these mentoring relationships. They also recommend that the senior employee begin and sustain the relationship. It’s important to have specific goals and know when the mentorship has ended. 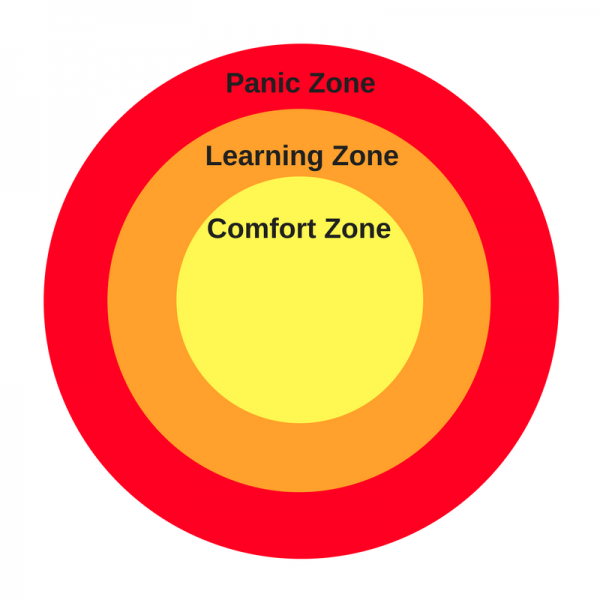 The Comfort, Learning, Panic Zone image is a helpful way to navigate the opportunities of cross generational mentoring. 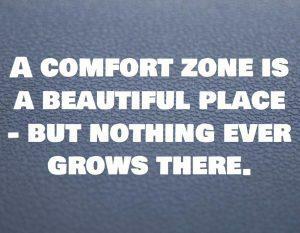 In the comfort zone, you are leveraging your strengths and feel confident in your execution of tasks. For example, perhaps you are highly skilled in Excel spreadsheets. The learning zone requires you to stretch. For example, you are good at designing powerpoint slides and working on your delivery with a colleague. The panic zone is where your skills, strengths, energy, and performance are not aligned. For example, public speaking is a panic zone for many professionals and is often avoided in professional development plans. As you consider a possible role for you in a reverse mentoring relationship, ask yourself these guiding questions. What skill do you need to learn that puts you in the panic zone? Where do you find yourself easily frustrated? What training have you considered taking but have not found time for? Who do you see as a rising star but need additional support to really thrive in your workplace? Do you have a skill you’d like to share with a senior executive in your workplace? If you are going to have a mentor, what would you need from your mentor to keep YOU in the learning zone but not the panic zone? Who do you know who who has the skills you want to learn and would be willing to mentor you? What skills are in your comfort zone that are perhaps in a colleagues panic zone? We are now multigenerational workplaces. Together we can strive to stay in the learning zone and bring all our greatest talents to an organization.